Wrap your baby in a beautiful warm thermal receiving blanket. 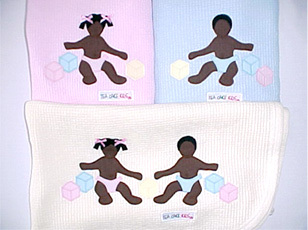 Featuring an applique of the baby boy or girl playing with blocks. 100% Cotton choose pink, blue or white.